The legendary U.S. Air Force P-51D Mustang originally used a Hamilton Standard propeller, but shortages forced the U.S. to fit some models with an Aeroproducts propeller. They were renamed the P-51K and mainly assigned to the Asian Theater. The P-51K and P-51D possessed both speed and the ability to fly long-range missions, and could serve as bomber escorts or attack enemy ground installations themselves. In addition to the fighter role, some P-51s were equipped with cameras and used as reconnaissance aircraft. Such aircraft were based on the P-51D and designated the F-6D. 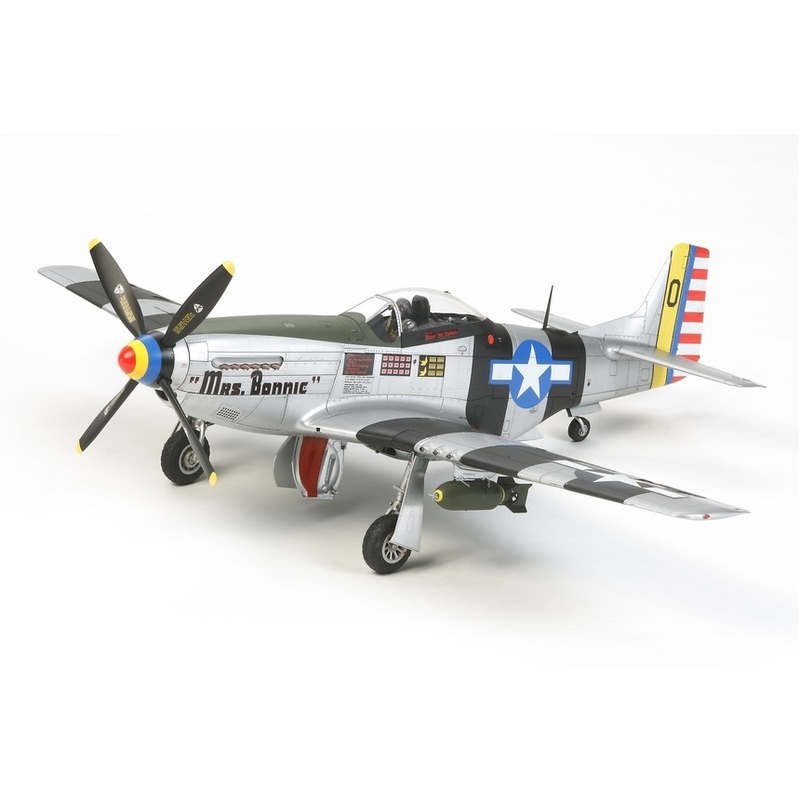 This kit offers 3 plastic model options: the P-51-D; the P-51K (predominantly served in Asian Theater); and the F-6D reconnaissance aircraft. Fuselage length: 308mm, Wingspan: 354mm. The unique form is accurately captured, including laminar wings and shapely style. Radiator is faithfully reproduced, down to internal ducts and oil coolers. Features an accurate cockpit interior. Parts for F-6D's intervalometer is included. 3 sets of markings included to recreate aircraft from Fighter Groups in Philippines, Iwo Jima and Burma. Crew figures in seated and standing poses included.